Main Street U.S.A. to me has always been one of the most comforting areas of any Disneyland park. 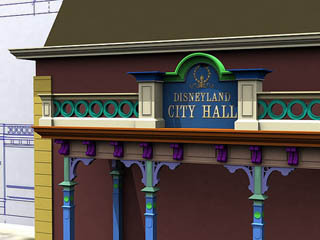 It’s the first thing you see upon entering the park and usually the first memory you make on that trip. 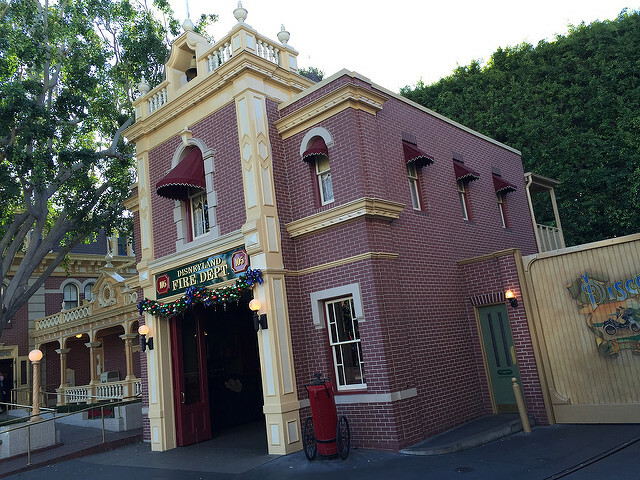 I consider the Main Street Train Station as the beginning of possibly the most interesting ride in the park…the Disneyland Railroad, and one of the most intimate areas of the park is located on the second story of the firehouse…Walt’s private apartment. Other historic locations and shops include a functioning bank, the Opera House which used to be the construction headquarters during 1954-55, the park call center, a tobacco shop, a intimate apparel store, a lock shop, a store to purchase jams & jellies, and a glass blower. On every trip I take, I spend more and more time admiring the details that adorn every facade or riding the horseless carriage, the double-decker (omni) bus, or the fire car. 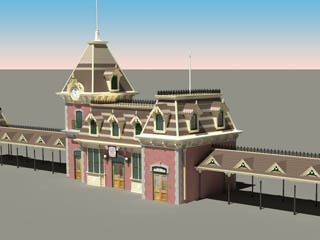 Said to have been inspired by one of Walt’s hometowns, Marceline, MO, the design is more likely inspired by the designer’s (Harper Goff) hometown of Fort Collins, CO.